Stella McCartney pink satin twill dress embellished with hearts, lips, matches and more. Stella McCartney black faux leather clutch embellished with hearts, lips, matches and more. 1950's compact purse with lit smoking cigarette design on the lid. 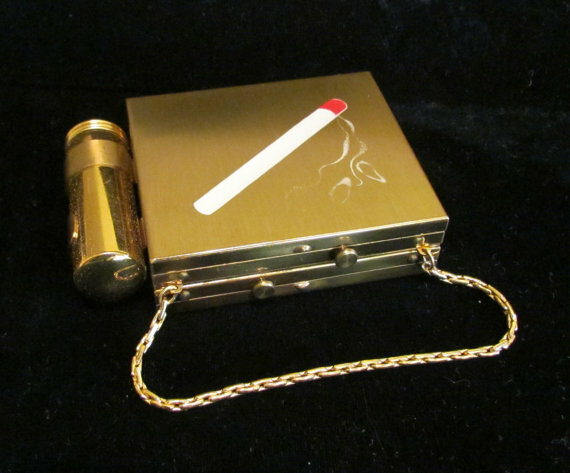 This compact includes a mirror; lipstick, powder, and cigarette compartments. This post was originally published on January 24, 2014.